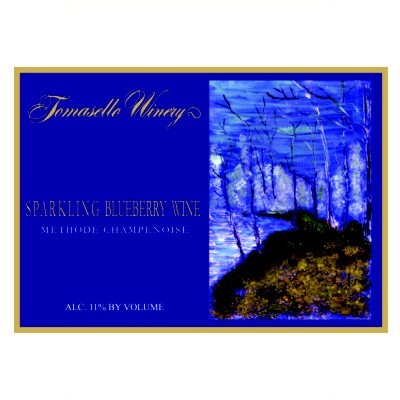 This methode champenoise sparkler is made using 100% blueberry wine. A wonderful mouth-filling blueberry character, slightly sweet, lovely as an aperitif or a perfect accompaniment to a creamy cheesecake. This methode champenoise sparkler is made using 100% Blueberry wine. A wonderful mouth-filling blueberry character, slightly sweet lovely as an aperitif or a perfect accompaniment to a light dessert or a creamy cheesecake. Excellent with soft cheese a double crème brie . Very refreshing on the veranda with a cool breeze!!! !